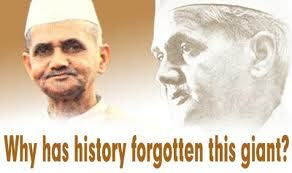 Today 2 nd October 2013 is We Celebrate Lalbahadur Shastri Jayanti and Mahatma Gandhi Jayanti . Today is Lal Bahadur Shastri's Birthday on 2nd October and Our Father of Nation Mahatma Gandhi Jayanti.. Shri Lal Bahadur Shastri, a pragmatic and down to earth leader of the people of India, a fine statesman and an able administrator, with the moral and ethical attributes of a 'Mahatma' and a person of impeccable integrity, was a great soul dedicated to the welfare of the common man. He was deeply patriotic and courageous, having dedicated his life to the service of the nation. His commitment to the people of India was exemplary. 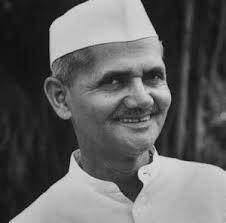 Shri Lal Bahadur Shastri was born in a poor family and through his grit, determination and honesty he rose to the high position of Prime Minister of India. 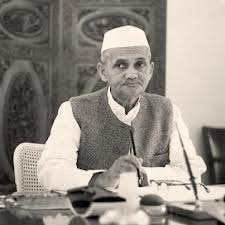 Lal Bahadur shastri ji,the bravest Indian Prime Minister who won the 1965 war for INDIA against pakistan,under whose leadership, Indian Armed forces penetrated the outskirts of Lahore city. 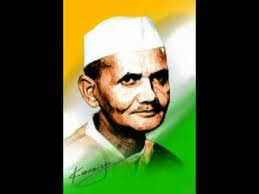 Shri Lal Bahadur Shastri gave the slogan Jai Jawan Jai Kisan to enthuase the soldiers to defend India and simultaneously cheering farmers to do their best to increase the production of food grains to reduce dependence on import . 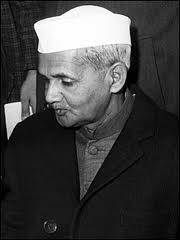 Lal Bahadur Shastri, a man of actions, was the second Prime Minister of India. He joined the post on 9th June 1964, after the death of Jawaharlal Nehru. 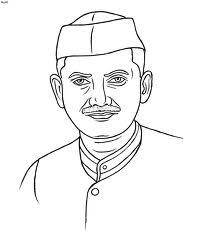 Born in 1904 in Mughalsarai, Uttar Pradesh as Lal Bahadur Srivastava, he was brought up at his grand father's house till the age of ten. As a boy he was fond of reading books of Guru Nanak Dev. He was strongly against the caste system and as a result he droped his surname, Srivastava. He whole heartedly took part in national struggle for freedom. Though a minor he participated in Mahatma Gandhi's non-cooperation movement in 1921. After completion of his bachelor's degree, he was awarded with the tilte 'Shastri', meaning 'scholar'. Though it was just a title but it became part of his name forever. He joined the Servant of the People Society and later became the president of the Society. Shastri got married to Lalita Devi in 1927. He sat an example by taking just a Charkha and a few yards of khadi as the only items of dowry. 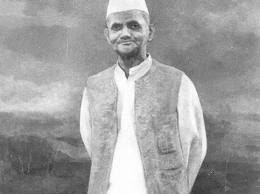 Shastri did a lot of work for the upliftment of Harijans, the lower caste people. He worked as the Organizing Secretary of the Parliamentary Board of U.P in 1937. 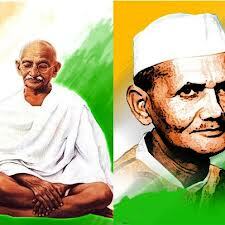 He was greately influenced by Mahatma Gandhi and took part in natianal struggle for independence with full vigour. In 1940 he was imprisoned for offering individual Satyagraha in support of the freedom movement. After being released he again jumped into the struggle, this time to take part in the Quit Indiia Movement. He was again arrested and was released in 1946. 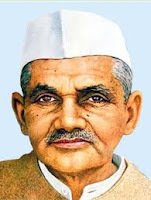 After India's independence Shastri served many posts including the Minister of Police and Transport, General Secretary of the All India Congress Committee and Minister of Railways and Transport in the Central Cabinet. 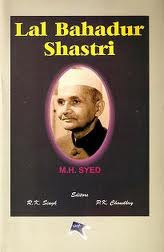 Shastri came to prominence after the death of then Indian Prime Minister Jawaharlal Nehru. 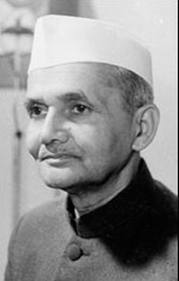 He was elected as the candidate for Prime Ministership by the Congress Party, and he swore in as the Prime Minister of India on 9th June 1964. During his tenure as the Prime Minister of India, he had to go through tough times due to many challenges including India's war with Pakistan. 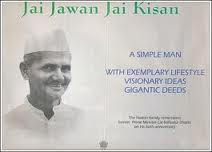 During the war he gave the slogan of 'Jai Jawan Jai Kisan' encouraging farmers and soldeirs, two leading forces of India. The war ended on the 17th September, 1965, with the United Nations' mediation. After the ceasefire Shastri and the President of Pakistan, ohammed Ayub Khan went to attend a summit at Tashkent, where they signed the Tashkent Declaration on 10th January 1966. 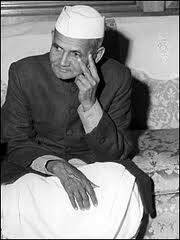 The very next day Lal Bahadur Shastri died of a heart attack . 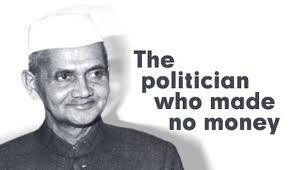 He did a lot of work in his short tenure as a Prime Minister of India, to mark his contribution he was posthumously honored with the Bharat Ratna. A memorial, known as 'Vijay Ghat' was built for him in Delhi. and wish u Happy Birthday.